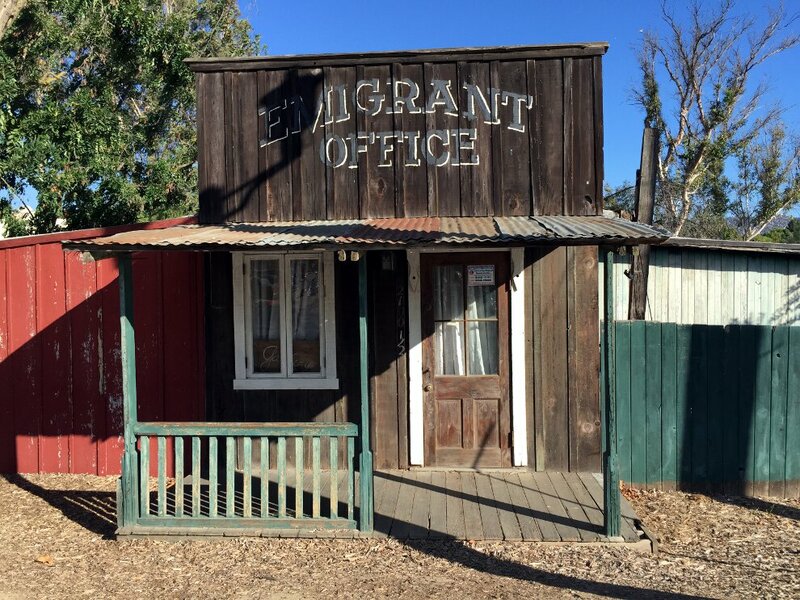 Have your picture taken in front of the iconic ‘Emigrant Office’. One of the most popular backdrops in all of Old Town. Guests have access to rooms located on the second floor. There are ten rooms, one men’s room, one women’s room and the office of Horace Parker. On the ground floor off the lobby is a parlor with access to the front porch. The Hotel and grounds are the perfect setting for your special day. 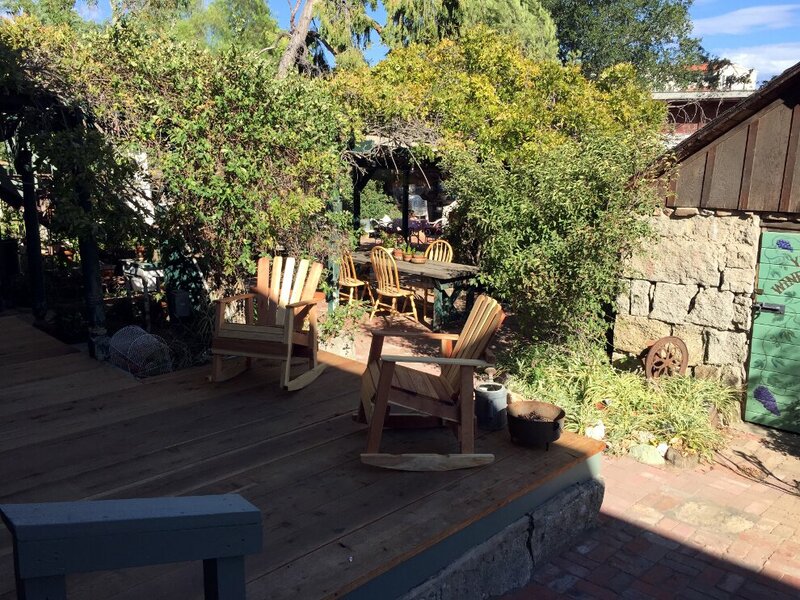 Located in the heart of ‘Old Town Temecula’ since 1891, the ‘Grand Lady’ is unlike any other venue. Behind the hotel there is a large brick patio with an outdoor bar area. To one side is the historic granite cellar as well as the only freestanding house on the property. A portion of the patio area sits beneath a canopy of Wisteria first planted in 1891. 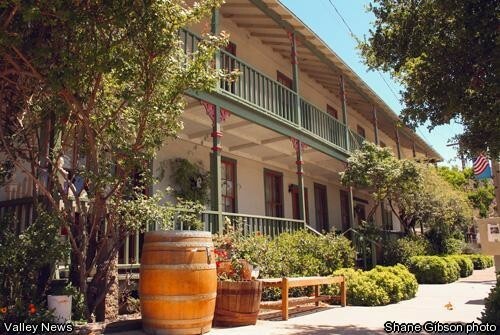 Straight out of the Old West, the historic Hotel Temecula presents an unbroken connection with the history of Temecula. The hotel showcases museum quality artifacts tracing that history. All the hotel’s historic guest rooms are located on the second floor, where there also is one shared Gentlemans Room with 2 showers, and one shared Ladies Room with 2 showers. 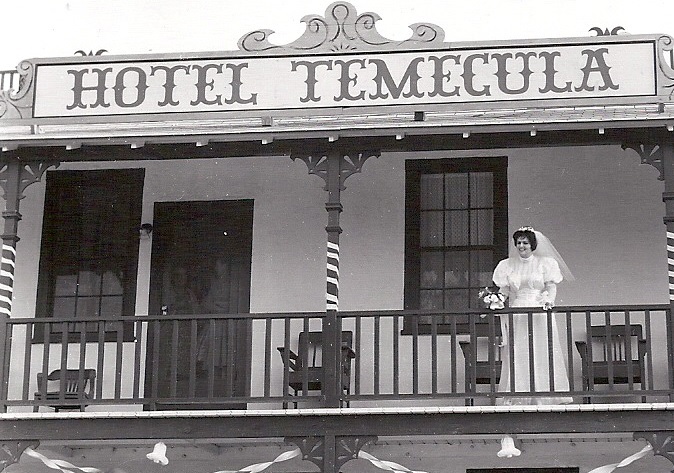 The original Hotel opened the same year the Southern California Railroad first arrived in the Temecula Valley. It was built on this site in 1883 by R.J. and Mary Jane Welty. The second of the two hotels was rebuilt on this site after the first hotel was destroyed by fire in 1891. The present building was erected that same year. Both hotels were owned and operated by the Welty family for over thirty years. Later, owner Grace LeClare operated it as both an apartment house and hotel. It was purchased in 1960 by local historian Horace Parker and his wife Leverne who owned the hotel until 2014. The year it was purchased by the Beck Brothers. Only the third time since 1883 that ownership has changed hands. Journey back through time as you explore the hotel. Relax with a cup of coffee in the Guest Parlor or step out onto the Front Porch and enjoy Main Street. The Hotel Temecula and grounds are the perfect setting for your Special Day or Event. Located in the heart of ‘Old Town’ since 1891, the ‘Grand Lady’ is unlike any other venue! The perfect place for creating memories that will last a lifetime. Remember to have your picture taken in front of the iconic ‘Emigrant Office’. Tucked behind the hotel is the spacious Wisteria Patio. Sit beneath the canopy of the Wisteria planted here in 1891. The patio adjoins the outdoor Event Area. Over the years the hotel was host to the Machado General Store, the local schoolhouse, and town hall. It was home to the Temecula Post Office from 1895 through 1915.